Petition against Mill Valley's proposed $250,000 public restroom: Request to use more affordable, community led building methods. I can't stop thinking about this proposed $250,000 public restroom in a Mill Valley park. It's excessive public spending and it makes me ill. It's more than that - it's wrong for this space - a small neighborhood park. I had to start a petition about it. Please read, sign and share. 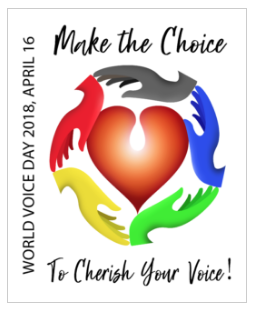 Monday is World Voice Day, an event about voice health. Starting on Monday, Facebook will begin alerting the 87 million users whose data may have been harvested by Cambridge Analytica. ©MariTamburo All Rights Reserved. Simple theme. Theme images by Jason Morrow. Powered by Blogger.